ZeaChem has entered into a Collaboration Agreement with Leaf Resources to cover evaluation by the two companies of the Leaf Glycell™ process for the production of fermentable sugars at ZeaChem’s demonstration plant at Boardman, Oregon. The trials will use Poplar as a feedstock. “ZeaChem is excited to trial Leaf Resources’ Glycell™ process at its Boardman demonstration plant. We are impressed with the results that Leaf Resources has achieved in pretreatment and saccharification, which, if replicated at Boardman, would be of significant economic benefit to ZeaChem’s proposed operations. Based on Leaf’s data, its Glycell™ process has the potential to deliver 30-40% more sugars in half the time at standard enzyme loadings, which would translate into significant efficiencies with limited effect on operations”. ZeaChem has developed a cellulose-based biorefinery platform capable of producing advanced ethanol, fuels, acetic acid and chemicals. Incorporated in 2002, ZeaChem is headquartered in Lakewood, Colorado and operates a research and development laboratory facility in Menlo Park, California as well as a 250,000 gallon per year demonstration biorefinery in Boardman, Oregon. 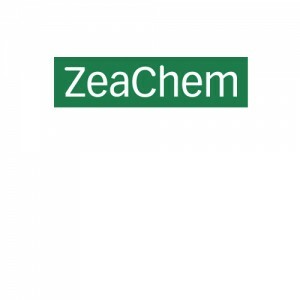 ZeaChem has considerable experience and engineering skills in the biorefining field and is well advanced in the commercialization of their technology.